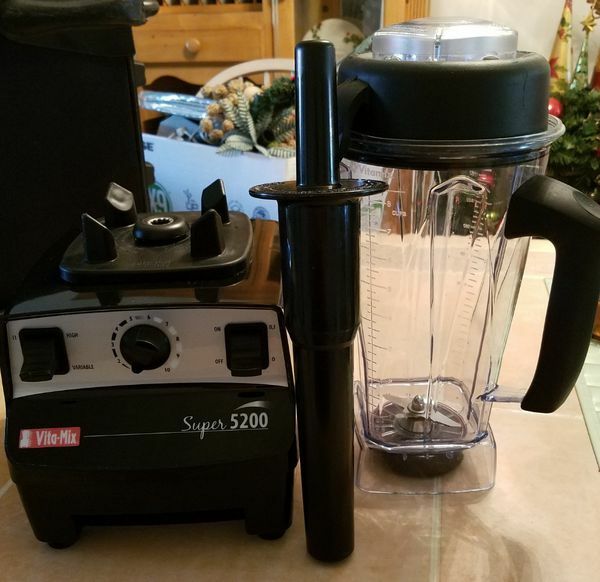 System was bought for almost $700 and is only a few years old in new-like condition with no scratches or marks on the machine or the blender container. The dry container is brand new and never used. 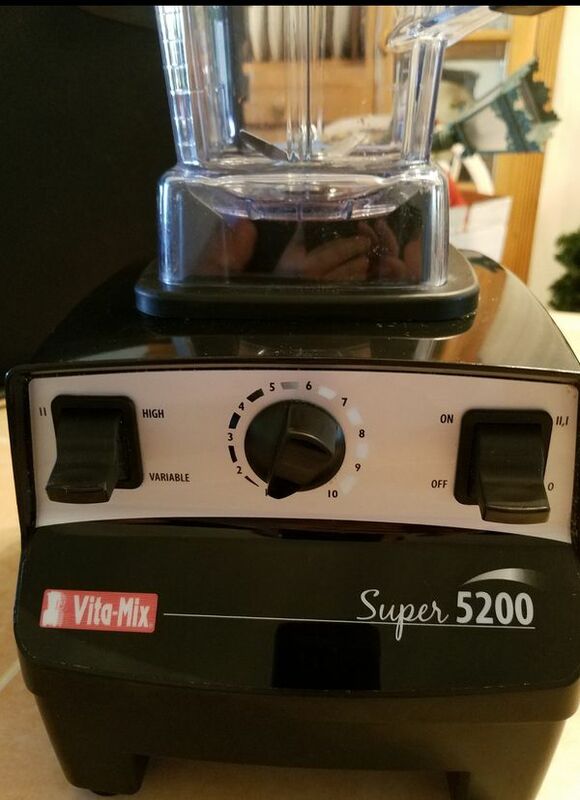 This is one of the finest Vita-Mix 5200 Professional Blender Sets including a brand new second container never used that is specifically for dry foods and grains i.e. bread and baking. Also contains the black mixing handle device to assist the blending of the materials. 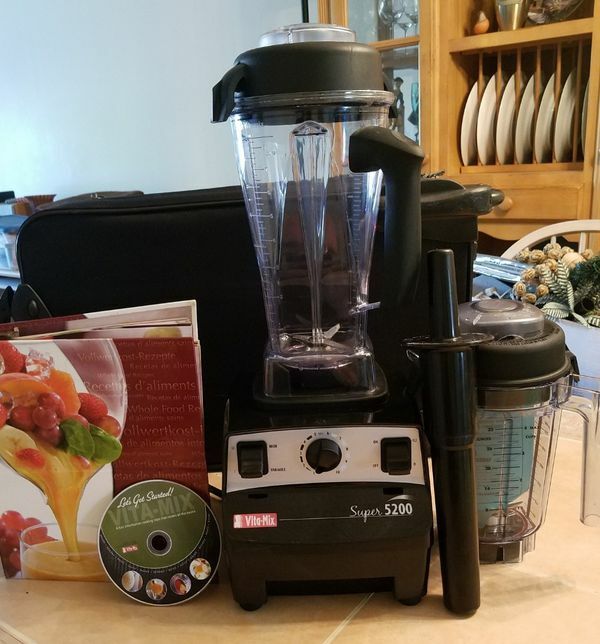 In addition, the set contains a full bounded notebook cookbook of Vita-Mix recipes and an instructional DVD with How-To instructions for the beginner and recipes for many foods including smoothies and soups. 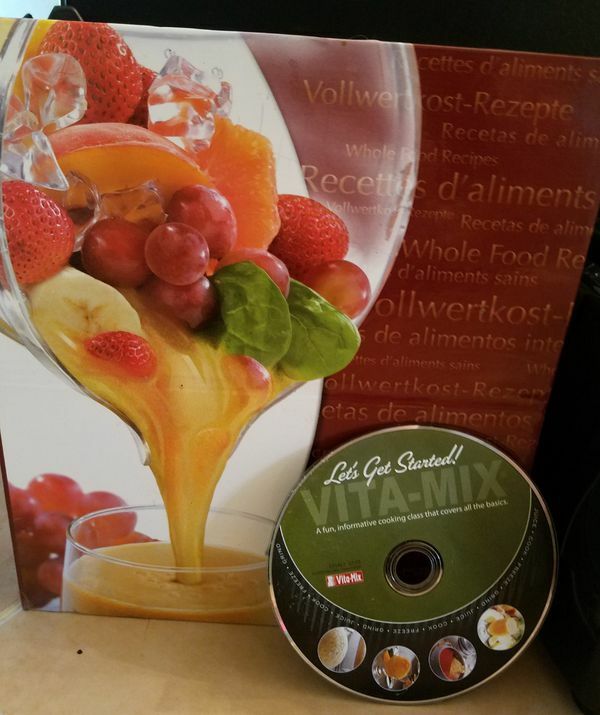 In addition to basic recipes used for similar machines, foodies will know the Vita-Mix is the tool used by restaurants and franchises such as Jamba Juice...this is the identical model used in many of the stores today. AMAZINGLY, YOU CAN MAKE HOT SOUP DIRECTLY IN THIS VITA-MIX. This was a machine bought for my gourmet side but sadly life intercepted with work and health. Therefore, the machine was almost never used...best count is 5 times and due to moving, I am selling. Of all the models currently on Offer-Up, none are in as new condition like out of the box as well as none priced in this range. The unit was fully tested this week prior to placing on the market for all speed and function modes and is in complete and perfect working order.